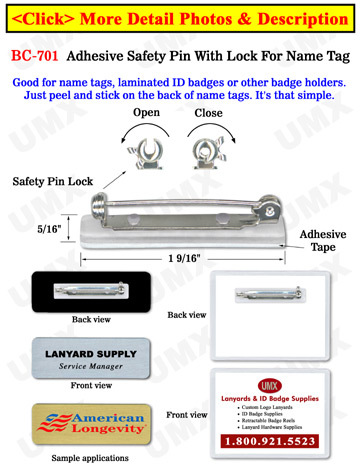 Safety Locked Pin Name Badge Clips - On Special Sale Now! The safety locked pin name badge clips come with plastic pin bases. On the plastic pin base there is a peel-and-stick adhesive tape. The metal pins will be protected by the metal swivel locks. You can open and close the lock safely.